Can We Run Background Checks on Independent Contractors? The modern U.S. workforce consists of 15.5 million independent contractors, or contingent workers, who depend on this type of work as their primary source of income. If you add in part-time or occasional workers, that figure doubles to nearly 30 million people. There’s no doubt if you’re in HR, you’re having to think about managing the risks of these hires in the same way you think about your traditional workforce. Today we continue our employment screening FAQ series with a question about the use of background checks with independent contractors. Question: Can you require independent contractors to undergo background checks? Background checks provide employers another layer of protection against risks and liabilities related to staffing. They can be used to shed light on a person’s criminal history, driving record, employment history, credit history, drug use, and other personal characteristics. Because of their potential value in the hiring process, it makes sense that employers would want to screen everyone who represents their company, even if they are independent contractors or temporary workers. Answer: Yes, employers can conduct background checks on any person performing work including independent contractors. In general, employers may conduct a background check on any individual performing work on their behalf, including independent contractors and other conditional workers. In fact, some employers that work with sensitive populations, such as minors, the disabled or the elderly, are mandated by state and federal law to conduct background checks on all workers in contact with their client base. In addition, certain industries that require government or security clearances must perform background checks on all workers, regardless of whether they are bona fide employees of the organization or not. Aside from the fact that you CAN background check your contingent workforce, we would contend it’s something you SHOULD do. Why Perform Background Checks on Independent Contractors? Many employers operate under the false assumption that, because their contractors are already subject to background checks by their sponsoring companies, they are protected. However, your definition of a background check and their definition might vary wildly. To some companies, a background check consists of a reference check or a cursory database inquiry. You should set the same standard for your contingent workers as you do your direct employees, and that standard should include a comprehensive background check. Your customers don’t make distinctions between your employees and your contingent workers. When a contractor comes to pick up a delivery, install an appliance, or measure for new flooring, that person represents your brand. If the contractor causes harm to your customers or their property, you can bet your company will be the first to get that irate call, or worse. Protect your brand by ensuring that all workers undergo the same background screening. Failure to screen the entire workforce, including contract workers, opens employers and their employees to physical, financial, and other workplace risks. Those risks come in the form of theft, property damage, workplace violence, and more. Implementing background checks, in compliance with FCRA, significantly reduces those risks, contributing to a safer workplace. For the same reason a disgruntled customer will place blame with your company — even if the problem originated with a contract worker — they may pursue litigation against both you and/or the contractor. In fact, the very definition of “independent contractor” is evolving. The California Supreme Court recently ruled that gig workers (e.g., rideshare drivers) are bona fide employees. For this reason, you will be well-served to fully vet both traditional employees and contractors. At Proforma Screening Solutions, our singular focus is on assisting employers like you. 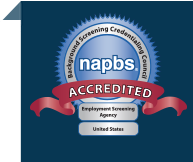 If you need help in conducting background screening or would simply like more information, please contact us.